New World Trading Company (NWTC) is introducing 22 new beers and ciders to their epic Anthology of Ale. 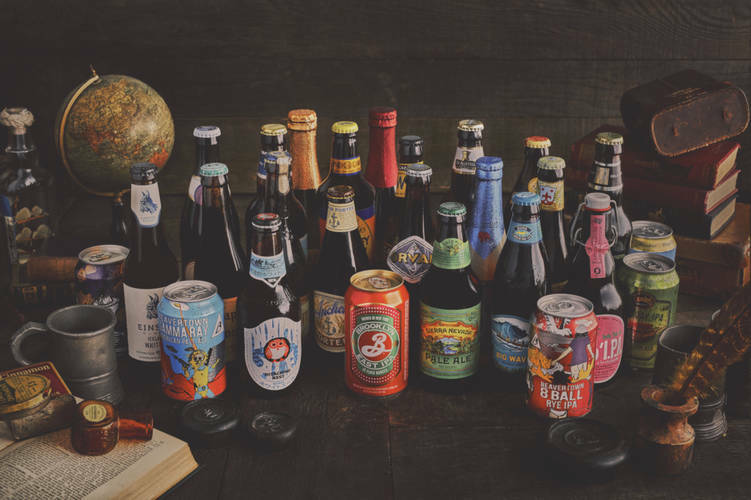 They are introducing many new beer styles that draw inspiration from the East and West Coasts of America, the UK and Europe, as well as retaining some of the beers and ciders from further afield, such as Argentina, Japan and New Zealand! The collection of beers is available nationwide in The Botanist, The Oast House, The Smugglers Cove, The Club House and The Trading House. Magic Rock – Highwire Grapefruit: A grapefruit edition of the critically acclaimed Highwire – this has bags of grapefruit zing and tastes not unlike a beery can of Tango! Tiny Rebel – Clwb Tropicana: The addition of pineapple juice, coupled with the already fruity hop notes of peach, mango and passion fruit all come together leaving an aroma of those Bassets Fruit Salad penny sweets! Wild Beer Co – Pogo – A close source suggests this one has been in the pipeline for a couple years and was given the green light last year. A wonderful session ale augmented with passion fruit, orange and guava! Lervig – Lucky Jack Grapefruit Edition – A similar grapefruit edition of their successful Lucky Jack – this time hailing from the excellent Lervig brewery from Norway. Expect sweet caramel malts with a tangy, pink grapefruit glow. Perceptionless by Red Willow (Macclesfield) have created a beer in the very modern New England IPA style – which has its roots in Vermont. Very cloudy, rich and fulfilling – perfect to drink after work! Double Maxim – From the historic Vaux brewery of Sunderland, this Brown Ale was revived by a handful of very passionate brewers after the brewery sadly had to close! Wiper & True from Bristol whose ‘Milkshake’ milk stout – a style that Bristol is famous for – has quickly earned its way into NWTC’s books. SchofferHoffer brings their German take on the Shandy – a 2.5% ABV ‘Radler’ wheat beer with grapefruit juice. Other changes will see a move from Rekorderlig to Old Mout to cater for a noticeable departure from overly sweet fruit ciders to more balanced and refreshing creations. NWTC will be amongst the first to the British market with ‘Hanelei IPA’ from Kona, once it hits the UK at the end of April. This fruity India Pale Ale takes on the persona of Hawaii in a glass, as it is based on the traditional Hawaiian drink: “POG” juice (passionfruit, orange and guava). Inside all NWTC establishments you‘ll find their modern Anthology of Ales; similar to a traveler’s diary, telling the intriguing story of the world of beer, cider and ale that’s served across their pubs in one handy guide. With 65 of the best drinkable creations from around the world, this hand-crafted anthology has been lovingly put together by their very own beer guru to present this accumulation of brewed miscellany in the best way possible. In the anthology you will find tasting notes, country of origin, quirky brewing facts, and some history, alongside the prices, serving sizes and %ABV. The anthology serves as a trusty guide which helps the customer choose their perfect beer so that they can just pick one up, experiment and enjoy. “We are really excited to see the new trends emerge from the USA start to make their appearance here, and with the summer months approaching, the fruit-infused ales will be a refreshing alternative. At last year’s craft beer convention, the fruit infused sector of beer in America was measured to be around 13% of all craft beer, and we predict a similar figure for the UK brewing market.